Framing nailers are often used for handling high-volume projects. You can use them for siding, framing, room construction, sheathing and just about any big project you can imagine. Usually, traditional equipment such as hammers are used to carry out these tasks; however, this approach not only takes a long time, but also requires you to expend a lot more energy. Furthermore, the results will typically not be as professional as those achieved with a framing nailer. Especially for heavy duty jobs, you want to be sure that your framing nailer is of high quality, compatible with your work style/preferences and can get work done efficiently. You need to consider various factors such as nail size, whether or not it should be battery-powered, warranty terms, plus features, etc. With the best framing nailer, you will save plenty of time and achieve a great feeling of satisfaction with the work it accomplishes. 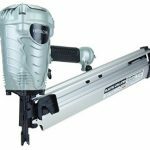 There are a wide variety of framing nailers on the market, which can make choosing one an overwhelming and tedious process. The NuMax SFR2190 21 is made with lightweight magnesium and features a non-stick ring. It has a highly efficient, hardened, one-piece steel drive blade. The NuMax SF2190 Framing Nailer works best for medium and small size projects and has an affordable price tag. It is massively popular, and has very high average customer ratings. It can easily push nails through various types of wood, giving you more options on the job. Its anti-dry fire mechanism alerts you if there are 5 or less nails remaining in the magazine. The Bostitch F21PL can double as a metal connector. It can drive 21 degree round head plastic collated stick framing nails from 2-3.5 inches. The nail gun is made using magnesium lightweight housing and has 1050 inch-pounds of driving power. It also boasts high customer reviews on Amazon and other retail sites. 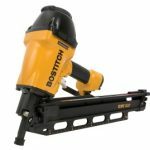 The Bostitch F21PL is a powerful and heavy framing nail gun that is a top seller on Amazon. It really does its job well. It can easily drive in different types of nails and even works well for small-spaced studs or frames. It’s a nice option if you’re looking for an air gun that works with different types of nails. The Hitachi NR90AES1 is an ergonomically-designed peneumatic nailer that sits well on the hand. It comes with a non-slip elastomer grip trigger that offers extra safety and comfort. It has a convenient two-piece aluminum magazine that makes it easy to switch between nails. Overall, the Hitachi NR90AES1 is an excellent nail gun. It’s sturdy and can easily withstand a good deal of abuse. There are no jamming issues when using it with standard nails. Note that it doesn’t work so well with 2-inch brads. You should seriously consider this nail gun for small to mid-size jobs and home projects. This pneumatic nailer is meant specifically for 21-degree full head nails. It can be used for framing, siding installations, wall sheating, building a fence, subflooring, and also for assembling different types of wood structures. 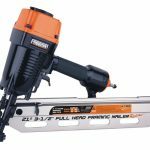 The Freeman PFR2190 framing nailer uses 21 degree plastic round head collated framing nails between 2-3.5 inches long. Its anodized aluminum magazine and cylinder, anti-dry cycle mechanism and one-piece drive blade, along with its very high average rating on Amazon, makes this gun a top choice. If you want one of the best framing nailers that is powerful and sturdy, then the Freeman PRF2190 is a beautiful option. 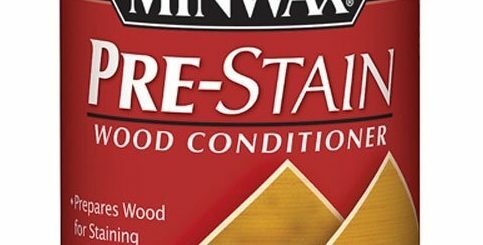 It can work with a variety of nails, and has fewer issues related to misfiring and jamming. 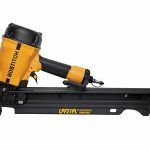 The Bostitch LDF21PL framing nailer is similar to the Bostitch F21PL, but is classed as the lighter, lower-profile version. 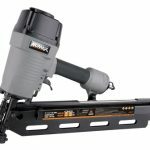 This air-powered nailer includes many great features that come in handy for heavy-duty and detailed work. Its narrow, low-profile design allows for nailing between small spaces. At 7.3 pounds, this lightweight nailer makes longer jobs less tiresome. It is fairly easy to find 21-degree, 2″ to 3-1/4″ nails. Its depth adjustment feature makes for more precise nailing, and thus a more professional-looking finish. The sequential and contact modes are good for different work styles. Since no gas is required, this can save frequent users plenty of money. The air filter will keep the engine free of any harmful contaminants. You can use the hook to conveniently hang the nailer on your pants as you work. Since it’s air-powered, it requires an air compressor and hose. This can be uncomfortable for many. Carrying the hose around may lengthen the time required to finish the job. The exhaust direction does not change, which means that you cannot adjust it so that the exhaust leaves the engine in a direction where it is not bothersome. If you don’t mind working with an air compressor and hose, this high-quality, yellow and black Bostitch design may be ideal for you. Many of its features speak of practicality, as you can use it in tight spaces, requires easy-to-find nails, offers two firing modes, can be hung by its hook, is lightweight and has depth adjustment. While this framing nailer is not free of flaws, judging by its overall features, it is of high quality and definitely worth its price. 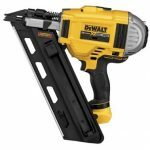 A slightly more powerful and faster nailer, the DEWALT DCN692B is perfect for heavy-duty nailing work that requires firing nails at a higher speed. This nailer is ideal for someone who wants to get work done faster and perhaps pay less attention to the microscopic details such as exact nail depth. It is lightweight, especially when compared to other framing nailers on the market. It can shoot the larger 3.5″ nails. Sequential mode for greater precision and bump mode for higher speed. Since it does not require a compressor or hose, it’s much more comfortable to work with. 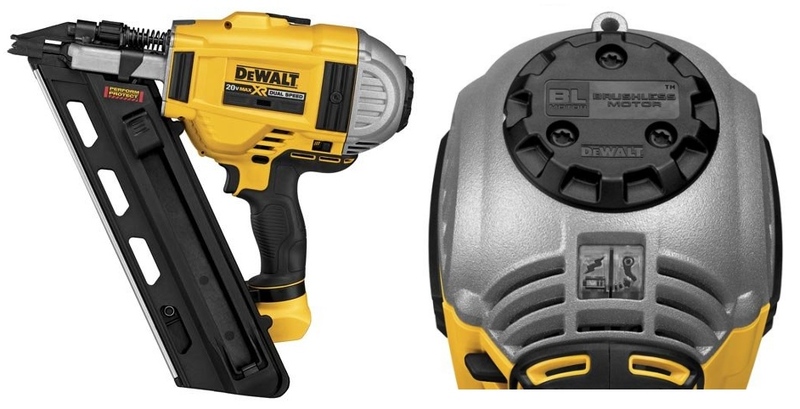 Unlike other cordless nailers, this one does not require gas. It may be difficult to find 30-34 degree nails. Due to its high-speed feature and wider nail size range, the DEWALT DCN692B framing nailer is more appropriate for experienced users. Furthermore, since it can handle a bigger nail than many nailers out there, it can probably be used for a more ample range of projects. Although the nails might be harder to find, the search is worth this powerful engine’s performance. 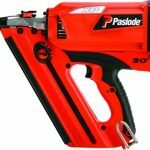 The Paslode 90560 is another independently powered framing nailer that can be great for either big or small projects. It doesn’t have different speed settings, but it is fast enough to efficiently get the job done. Being so lightweight and having such a long-lasting battery life can make it ideal for many remote and extended jobs. The narrow design is great for working in tight spaces. It is one of the lightest framing nailers on the market, which is great for prolonged work. Loads nails and fuel quickly for greater efficiency. The use of lithium-ion rechargeable batteries means there is no need to buy new batteries. A long battery life is good for firing 9,000 nails. A two-minute charge is good for firing 200 nails. Very comfortable to work with as it doesn’t need a compressor or hose. It has a rugged design so it can sustain falls and blows. 30 degree nails can be very difficult to find. It is recommended to use nails from Paslode’s brand for fewer jams & misfires. However, their nails are generally more expensive. It requires fuel, which means bigger jobs can get quite expensive. It only has a 90-day warranty for all parts & 1-year warranty for specific parts. One of the most attractive features of the Paslode 905600 is its long battery life, which can be recharged easily. Although there seem to be more downsides to this particular nailer, there is no doubt that it offers some exceptional features that can be very helpful for many types of jobs. It can be ideal for quick jobs where you need it to be charged and ready for use, as well as for extended jobs that require power for long periods. To buy the best framing nailer, it’s important to first learn about what the tool does. There are three different types of framing nailers available on the market. Pneumatic nailers use an air compressor and have a much higher work capacity. With a pneumatic nailer, it’s possible to finish a large number of tasks within a short time frame. These nailers are best for personal use. You can carry this tool along with you and they run on battery, which makes them highly mobile. They also have the convenience of a detachable air compressor. These nailers are like other nail guns and can easily handle volume jobs, but work more effectively than pneumatic framing nailers. At the same time, corded electric nailers (see my electric nail gun guide here) require a power source, and you may find that you can’t work as quickly with an electric nailer as you can with a pneumatic one. When choosing a framing nailer, you should first know the kind of project you’re interested in. Is it a small one time project that doesn’t require too many nails, or is it a large project that requires hundreds of nails? Are you a first-timer, a professional carpenter, or a DIYer? Your pneumatic nailer will jam. Make sure your nailer comes with easy access to the nail feed so that when the gun jams, it’s easy to clear and doesn’t slow you down. While running a pneumatic framing nailer, you would need a swivel tube connector to avoid tangling of the tube. It also makes the reloading process easier. Nail depth adjustment allows you to control how deeply you drive in nails. This feature is important on finishing nailers, and depth adjustment is easier on some nailers than others. There are different sizes of nail. If you’re planning to use multiple nail sizes for your project, make sure you buy a pneumatic nailer that accepts a range of sizes. Nail guns are normally designed to handle specific types of nails. Many framing nailers come with longer cartridges or magazines to hold nails. Some of them feature coils of nails. Framing nailers have two main types of triggers: single fire and bump fire. With single fire, you just have to press its tip against the piece and then pull trigger to use a nail. A bump fire trigger requires the user to hold the trigger and bump the nail tip right into the wood. Although this trigger is faster, you get more controlled and precise results with single fire trigger. Every pneumatic nailer has specific requirements for the fasteners. Use only the fasteners specified by the manufacturer and make sure they fully comply with all building codes and regulations for work you’re doing. Due to their high quality, power and reliability, these are some of the best framing nailers available on the market. Designed with a specific user in mind and having superb features (all of them being fantastic for the money), these exceptional machines compete only with the best. Sure enough, people who have purchased these nailers are generally very satisfied with what they have been able to accomplish. Best of luck shopping for your framing nailer! Thanks for reading this guide. If you have any questions, feedback or comments, don’t hesitate to drop them in the comments below. Feel free to share this page using the buttons below. 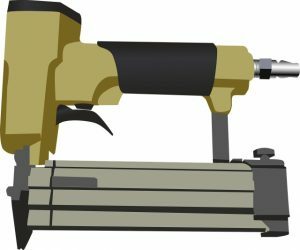 A very useful piece on framing nailers. As someone who is planning on doing a host of home improvement projects over the summer and needs a quality gun for framing, this will definitely help me along the way. The way the information was parsed here really helped me out. At this point I’m debating between the NuMax SFR2190 and the Freeman PFR2190 – my buddy has the PFR2190 and he loves it. There are also a couple of other good candidates that you don’t mention here. In any case, thankyou. Nice Brent! I’m glad this was helpful to you. Freeman’s PFR2190 is one of the best nailers I have ever used. What other nailers are you considering? Ok, I decided to buy the NuMax SFR2190 framing nailer. I have to say I am very impressed with how it’s working so far. It worked beyond my satisfaction and I have definitely gained a level of trust in the whole process. I was able to finish far ahead of schedule and the quality of the work done was great. Also, as somebody who does not have loads of experience in using nailers, the guides on this article really helped me out. I was actually able to complete the tasks by myself without my husband – he works a lot and doesn’t have much time for home improvement projects, so I do some of it myself. Thanks for the helpful video. This nailer should serve me well for a long time to come. Can you come out with a guide on brad nailers? We do a lot of smaller home renovation projects and are looking for a reliable brad nailer as well. Thanks! Very glad to hear it! It’s definitely a good idea to have a quality framing nailer if you’re a heavy DIYer. As for your question, that’s a great idea – I’ll mark that down to be developed and posted to the site in the near future.